Come to the tasting room at Wind Rose Cellars in Sequim for live music Thursday, Friday and Saturday evenings from 6:30 -8:30 p.m. This weekend, enjoy Jazz music! Friday night hear Taylor Ackley & Chuck Easton; Saturday night hear Craig Buhler, Chuck Easton and George Radebaugh. Wind Rose Cellars specializes in Italian-style wines made from Washington-grown grapes. 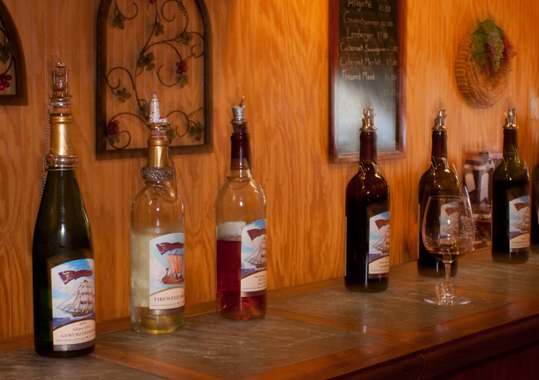 All wines are produced and bottled in Sequim. Come enjoy a glass or two & some delicious food while listening to some of the Peninsula’s finest musicians! 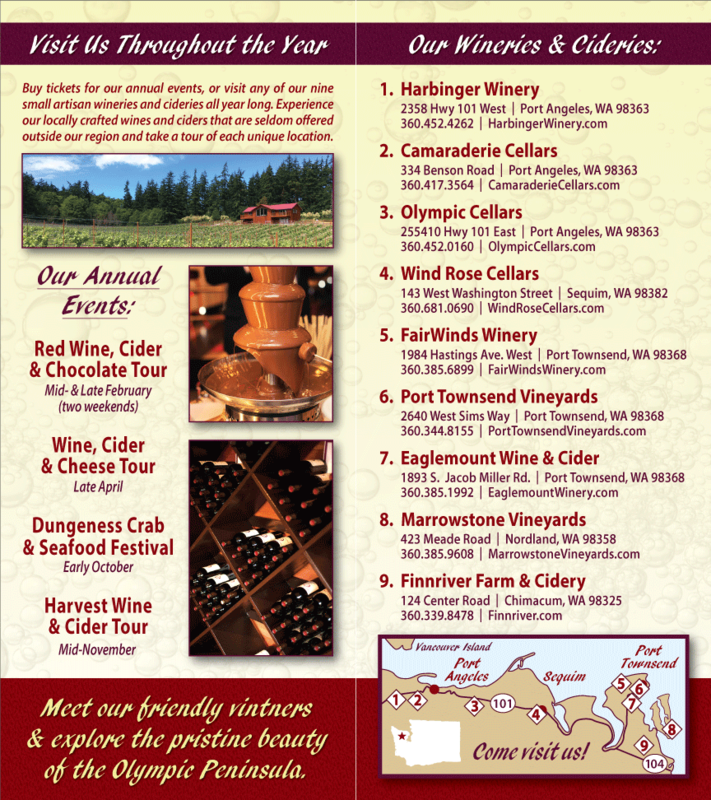 Of course, all of our wineries provide a great atmosphere for tasting, in the scenic Olympic Peninsula. Take Eaglemount Wine & Cellar, located on a historic 19th century homestead. The winemakers create cider from the orchard on their property the same way that the original residents did. FairWinds is located in the charming hamlet of Port Townsend, a Victorian waterfront town. When you visit here, you can see wine production in action. FairWinds just celebrated their 20th anniversary! Finnriver is another scenic farm and cidery in the Chimacum area. A 33 acre organic family farm and artisan cidery next to a restored salmon stream. They welcome you to explore the creek or the fields when you come for a tasting. Each member winery has it’s own unique product and atmosphere. But what all our wineries share is the majestic beauty of the Olympic Peninsula.